People handling dry pet treats should thoroughly wash their hands after having contact with the treats as well as any surfaces exposed to these products. 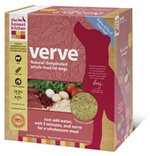 February 21, 2013 – The Honest Kitchen has today announced it is voluntarily recalling five lots of its Verve, Zeal and Thrive dog foods because they may be contaminated with Salmonella bacteria. The items were produced between August and November 2012 and sold nationwide in the US and Canada via retail stores, mail order and online after August 2012. No other Honest Kitchen production dates, batches, or products are affected. Animals with Salmonella infections may be lethargic and have diarrhea or bloody diarrhea, fever, and vomiting. Some animals will have only decreased appetite, fever and abdominal pain. Infected but otherwise healthy animals can be carriers and infect other animals or humans. If your animals have consumed the recalled product and display these symptoms, you are advised to contact your veterinarian. The Company is taking this action after learning that one of its raw ingredients suppliers has recalled a batch of human‐grade parsley that may contain Salmonella . The batch of parsley was shipped to the Company in 2012 and used in the production of five lots of Honest Kitchen products. The Honest Kitchen claims to regularly test for Salmonella and other pathogens as part of its quality control process — and has not received to date received any reports of illness associated with these product lots. The Company is proceeding with this action to ensure the safety and quality of its products. Consumers who purchased the above lots of Honest Kitchen Verve, Zeal or Thrive products should stop feeding the products to their pets, remove the UPC (bar code) and lot code from the packaging, and discard the contents in a covered trash receptacle. Lot codes are located on the top of product boxes either adjacent to or opposite the UPC. For questions, consumers are invited to call the company at (866) 437-9729. Or send an email to info@thehonestkitchen.com. Customer service representatives will be available Monday through Friday, 8 am to 4 pm PST. February 20, 2013 – According to an FDA bulletin, Nutri-Vet, LLC. of Boise, Idaho, is voluntarily recalling its Nutri-Vet and NutriPet Chicken Jerky treats products because they may be contaminated with Salmonella. Salmonella can sicken animals that eat these products. Humans are at risk for Salmonella poisoning from handling contaminated pet products, especially if they have not washed their hands thoroughly enough after having contact with affected items. Or any surfaces exposed to these products. Consumers exhibiting these symptoms after having contact with this product should contact their healthcare providers. Infected but otherwise healthy pets can be carriers and infect other animals or humans. If your pet has consumed the recalled product and has any of these signs, please contact your veterinarian. 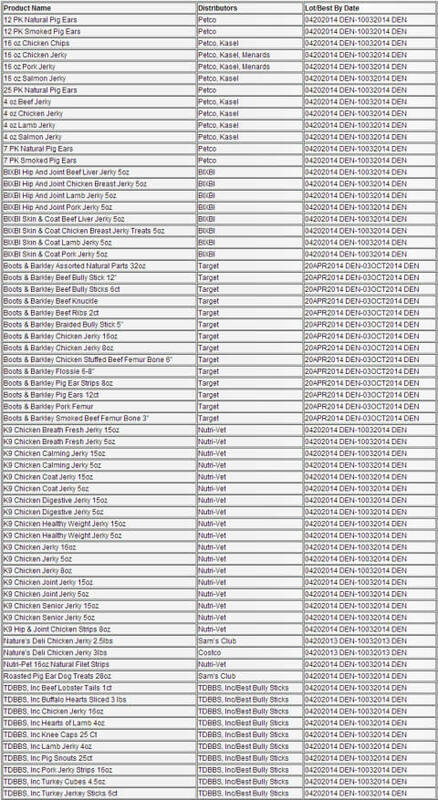 Nutri-Vet is recalling the lot numbers below because the producer of an ingredient used in the products below informed the company of the possibility of the presence of Salmonella at the manufacturing facility. According to the report, no positive test results have been found on Nutri-Vet or NutriPet products to date. 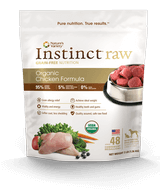 The U.S. based supplier has ceased the production and distribution of the ingredient supplied to Nutri-Vet. The FDA and the manufacturer continue their investigation into the source of the contamination. 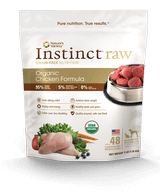 No other products made by Nutri-Vet are included in the recall. 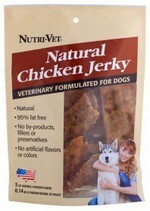 Consumers who have purchased Nutri-Vet and NutriPet Chicken Jerky Products are urged to stop feeding them to pets and return the product to the place of purchase for a full refund. Consumers with questions may contact Nutri-Vet at (877) 729-8668 Monday thru Friday from 7am to 5pm MDT. February 20, 2013 – According to an updated FDA news bulletin, Kasel Associated Industries of Denver, CO is voluntarily recalling all products manufactured at its Denver, Colorado facility from April 20, 2012 through September 20, 2012 due to possible contamination with Salmonella bacteria. Salmonella can sicken animals that eat these products. And humans are at risk for Salmonella poisoning from handling contaminated pet products — especially if they have not thoroughly washed their hands after having contact with the pet products or any surfaces exposed to these products. If your pet has consumed the recalled product and has any of these signs, please contact your veterinarian. 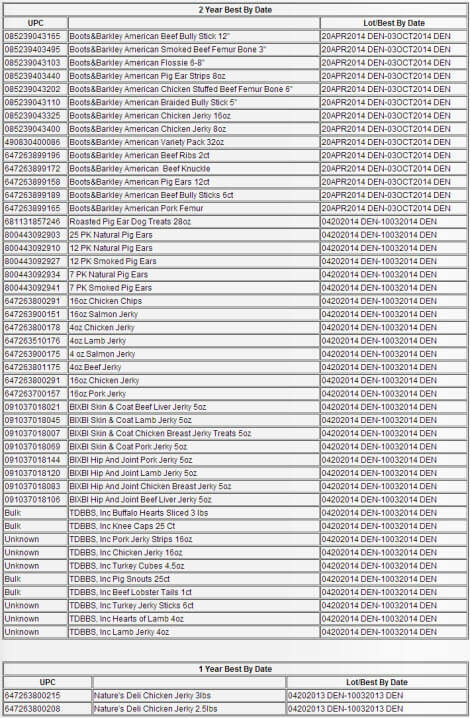 Lot numbers as shown in 1 Year Best By Date Table and 2 Year Best By Date Table, which are attached.